Clients can avail from us an extensive array of Printed Cotton Scarf. This scarf is designed and fabricated utilizing optimum quality poly cotton fabric and advance technology at par with international quality standards. 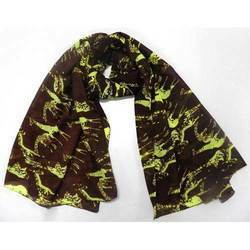 Offered scarf is highly demanded by our clients of both, national and international markets. We offer this scarf in various patterns, sizes and designs to meet the specific requirements of the clients. 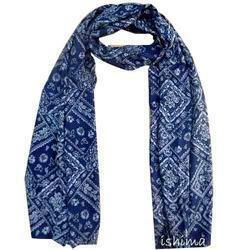 We are the prominent manufacturer, exporter and supplier of Poly Cotton Scarf. This scarf is designed and fabricated using finest quality material that is sourced from the indisputable vendors of the market. Sternly tested on diverse quality parameters, offered scarf is available in variety of colours and finishes as per the detailed needs of the clients. Looking for Cotton Scarves ?